On their debut recording, Capital Diner Vol. 1, in stores now, they mix original compositions with pieces by Kurt Cobain, Sufjan Stevens and Thelonious Monk — a combination of jazz, rock, fusion, post-punk that they see as embodying the borough’s energy and eclecticism. After living for a stint in L.A. (as the first vibraphonist to be accepted to the Monk Institute), Westfall recently moved to New Orleans with a desire to help rebuild the community with his New Orleans-native fiancée. Now a homeowner in the Habitat for Humanity’s Musicians Village, he will continue to meet his Wee Trio bandmates at their national tour destinations. 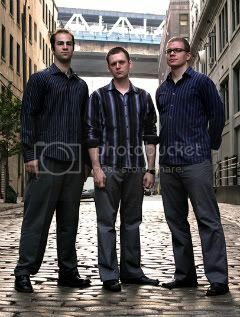 On Oct. 16, Wee Trio will play at the Cornelia St. Café at 8:30 p.m. See more info at www.theweetrio.com. THE SECOND ANNUAL RED HOOK FILM FESTIVAL, directed by Park Slope filmmaker, photographer and location scout NATHAN KENSINGER, was this weekend, Oct. 11 and 12, from 1 to 6 p.m. The festival, held at Brooklyn Waterfront Artist’s Coalition’s new screening room, 499 Van Brunt St., included 29 short films from Brooklyn and around the world, including several world premiers. The screenings (and popcorn) were free. Beer and wine were available by donation. Free key lime pies were available from Steve’s Authentic. NYC COLLEGE OF TECHNOLOGY DENTAL HYGIENE PROFESSOR MARILYN CORTELL has been named an American Academy of Dental Hygiene (AADH) Fellow. The honor was awarded to Cortell as recognition for her achievements in teaching and practicing of dental hygiene. Cortell’s professional career has covered much ground: she has served as a leader of professional associations on the local, state and national levels, and taught continuing education courses both nationally and abroad. She has also authored numerous articles in industry publications and contributed to the development of several dental hygiene textbooks. Cortell is especially proud of her relationships with City Tech’s Dental Hygiene Clinic, which provides low-cost healthcare services, and with the department’s student-inspired “Send a Soldier a Smile” campaign, which has attracted national attention and support by providing much-needed dental health products to U.S. military personnel stationed abroad. “Professor Cortell has exhibited a passion for her profession that has enabled her to accomplish professional milestones beyond those needed for this fellowship,” said City Tech Professor JOYCELYN DILLON, department chair. 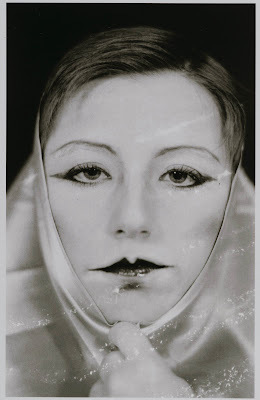 AS ONE OF THE MORE INFLUENTIAL CONCEPTUAL photographers of the twentieth century, CINDY SHERMAN will be honored at the Brooklyn Museum’s sixth annual Women in the Arts luncheon on Nov. 6. Sherman uses photography, often with herself as the subject, to address the stereotyped roles of women in society. The program will begin at 11 a.m. with an overview of Sherman’s career. Proceeds from the event will benefit a wide range of Museum programs. For information or to purchase tickets, call (718) 789-2493. Previous Women in the Arts honorees include ANNIE LEIBOVITZ, MAYA LIN, GUERILLA GIRLS, Dr. ELIZABETH A. SACKLER and Dr. MARY SCHMIDT CAMPBELL. WELL-EXHIBITED BROOKLYN ARTIST MIYA ANDO will contribute her steel artwork to help fundraise for New York’s largest emergency food provider, St. John’s Bread and Life (serving more than 1,500 meals each day). The fundraising exhibit and reception will be hosted by chef ABIGAIL HITCHCOCK at Abigail Café and Wine Bar in Prospect Heights the evening of Oct. 23. Wine and hors d’oeuvres will be served. St. John’s was recently in the news for implementing a digital food pantry. To learn more, visit www.breadandlife.org. Artist Ando, who paints on steel canvases, will be featured in the December/January issue of Nylon magazine.